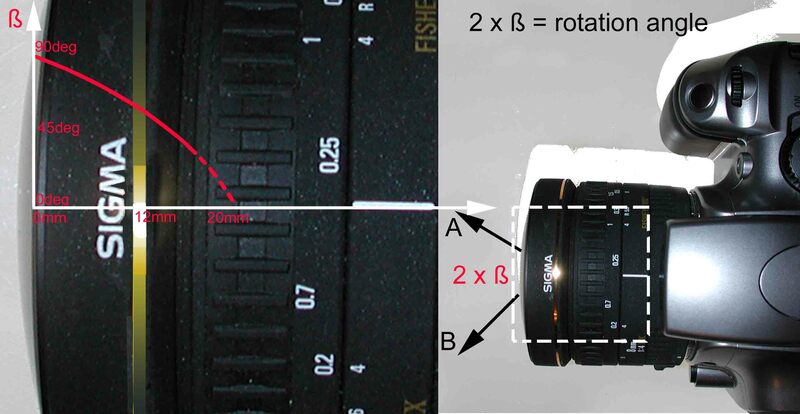 I got so frustrated that I decided to reverse the standard process : If the two objects are still aligned after rotation of the camera around the Nodal Point, then I imagined that the two objects could move (or be moved) in such a maner as to be both constantly aligned with the Nodal Point. 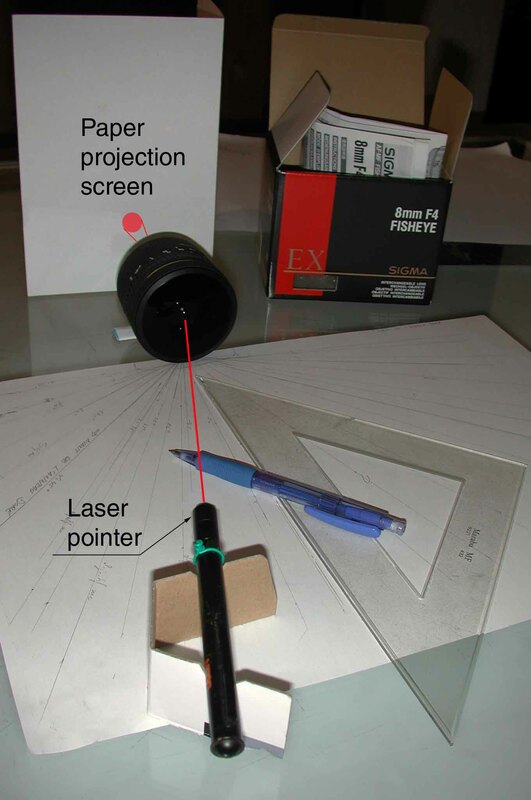 With this new principle, I managed several ways to moved the pair of points around the lens while maintaining them aligned with the famous Nodal Point when it had been previously located. Thus I kept the camera (and therefore the famous Nodal Point) still. Then I got (nodally ;-)) disapointed for a while : I had to admit that it is impossible to have this pair of point constantly aligned with a pivot (nodal) point when moving them around the fisheye lens. The Nodal Point really moves but now I know where and when ! I intend to share this ability with others. I have developped some rather unconventional experiments which all give consistent results. They can be reproduced at home by (most) of the CP990 owners and I presume that they can be extrapolated to other photo gears as well. Experiments for Nodal Point determination.